At the stroke of midnight on New Year’s Day, a new standard contract for real estate agents in most of Northeast Illinois took effect. You may have heard about it, but have you explored it? 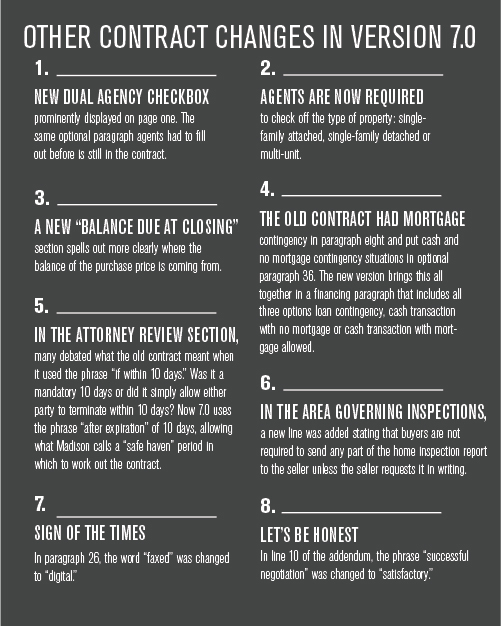 The two sections of the new 13-page contract, known as Version 7.0, that have changed the most cover financing and home inspections. Version 6.1, which is being phased out and used jointly with the new version through March 1, left blank spots for various parts of the sale process, such as loan approval or receipt of earnest money. Now, Version 7.0 has default dates based on a more realistic expectation of when the various stages of the process will be complete. Lynn Madison — past president of the Mainstreet Organization of Realtors and the owner of real estate training firm Lynn Madison Seminars — noted that it had been problematic to leave it up to agents to set timelines for processes they had little control over. Sometimes overly optimistic agents filled in dates on the contract that were unrealistic. “I’ve heard of closing dates being set before mortgage commitment dates,” Madison said. 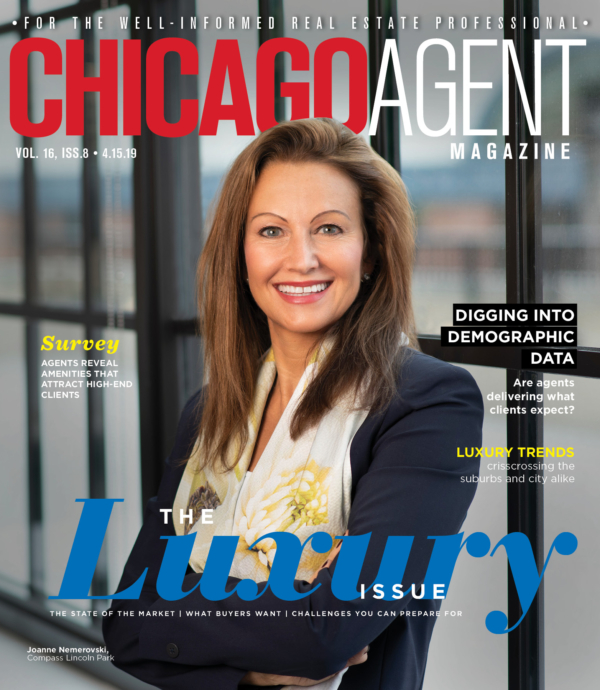 She served on the 23-person committee comprised of representatives of area real estate and bar associations, which hashed out the recent changes. She’s also been part of deciding on past changes to the document, which rolled out a new version most recently in 2015. Another change is the location within the document of the provision on sellers paying closing costs. It’s been moved from the 13th page to the very first page — largely, Madison said, so that sellers, who may be inclined to skim a dense document or start missing details many pages in, will be sure to see it. Every agent who’s been around the block has a story about a closing being held up by requests to change very small items following inspections — Madison said she’s heard of requests that get into minutiae such as the length of a ceiling fan’s pull chain. Version 7.0 attempts to head off some of these closing hiccups by specifically defining repairs that can be requested after an inspection. Now not only do sellers not have to honor such minute requests, but they are empowered under the new version of the contract to kill a deal if a buyer asks for nonmaterial or cosmetic changes after an inspection. Of course, this isn’t a full accounting of the changes to the standard sales contract, which also tackle topics like dual agency, designated storage space and counteroffers (see sidebar for more). As for getting up-to-speed on the full range of changes in the new version of the contract, “your association will be your most important resource,” according to Madison. The new contract is available through Midwest Real Estate Data or through any of the area’s local real estate associations.